Tom Hedigan star outfielder and coach of the Coughlan team of the Vancouver Commercial League. Hedigan led the club to the league pennant. Jimmy Ralston (first named Jimmy Robertson in the newspaper story on June 1st in the Vancouver Daily World then Jimmy Rolston). Leo Solloway. Both Ralston and Solloway were members of the Vancouver National Biscuit Company team. 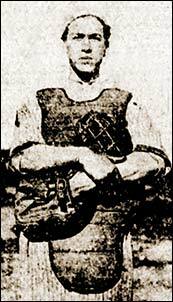 Harry Richardson, catcher for the Purdy Centrals. Blair Jardine, second baseman of the Purdy Centrals of the Commercial League. In an August 19th story it was noted that he had joined the armed forces and would be heading overseas and would be playing his final game of the season in a few days.